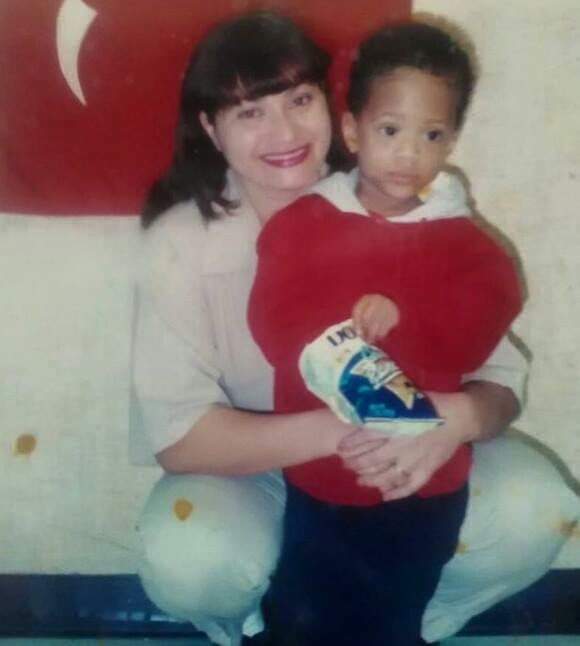 Happy mother's day mama Rico and all mothers and mothers at heart all over the globe. Where is that anonymous BV that said Rico was bleaching and he should stop bleaching!? He has posted his childhood pic for you! Going by your ignorant logic, it's safe to say that Rico's dad also paid and slept with this white woman, so he can have a mixed raced child! Kate Henshaw; Susan Peters; Ufoma McDermott; Uche Pedro; Karen from BBA; the YouTube girls; the women featured on 'Oyibo Wives' [I could continue listing...but I'm sure you get the drift]. Are their children not born to white (and non-black) men? Are those men also paid sperm donors?!! One of you listed 3 biracial GH celebs but forgot that Sade; Lola Okoye; Tania Omotayo; Ramsey Noah; Caroline Danjuma; Lilian Bach; Eku and her twin sister; Denrele; Nneka; Freeze; Rico and countless others are "mulattos" too! Next time, please remove the log from your own Nigerian eyes before trying to remove the speck in Ghana's!! Sharap Ty here men. Dem deu talk better thing today you come chook Ghana. Happy Mothers day to Iya Rico..